Auto accidents generally refer to any crash involving a passenger vehicle or truck. When you or a loved one is injured in a crash, you should contact an attorney if the crash was someone else's fault. Even if you aren't sure, give our attorneys a call. We provide free case evaluations 24 hours a day, 7 days a week at 833-546-3675. The Kelleher Firm features three AV Preeminent® attorneys with offices in Naples and Fort Myers. Additionally, we handle motorcycle claims and boating accident claims. These injuries can lead to life-long impairments, pain, mental anguish and suffering. You deserve compensation for an accident that was caused by someone else's carelessness. Our attorneys fight for exactly that. You may get an offer from the insurance company, but it may be lower than what you actually need and deserve. Our attorneys pursue compensation to the fullest extent on your behalf. At The Kelleher Firm, we are passionate about obtaining favorable results for our clients. We have seen with our own eyes just how impactful these injuries can be on the lives of our clients. When we are successful in maximizing their compensation, the injured has the money they need in order to access effective medical care, both currently and if the injury requires future medical care. 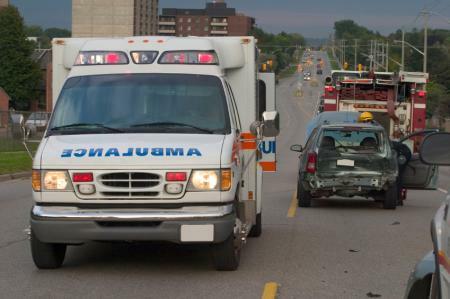 Were you recently involved in a motor vehicle accident caused by someone else? Was a loved one injured or killed in an accident? If so, you may be eligible to make a claim and pursue compensation above and beyond any insurance offers. For a free review of your claim, please call the experienced and driven attorneys at The Kelleher Firm at 833-546-3675 or contact us online. The Kelleher Firm proudly represents accident victims from across Florida. Our offices are located in Naples and Fort Myers. We are available to take your call 24 hours a day, 7 days a week.